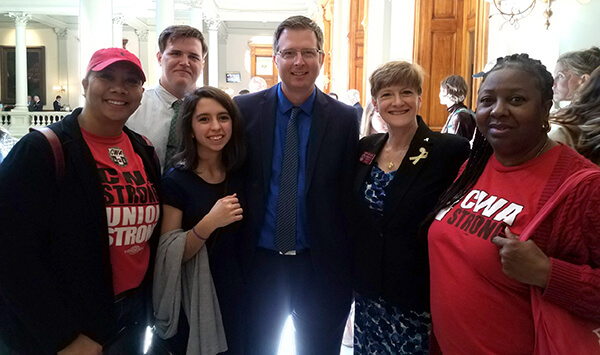 CWA members in Georgia from Locals 3212, 3218, and 3250 met with lawmakers last week at the state capitol in Atlanta and urged them to support S.B. 231, a CWA-supported bill to protect Georgia call center jobs. The bill would require call center employers to notify the state if they intend to relocate at least 30% of call volume in a year, and those companies would lose all grants, loans, tax benefits, and state contracts for the next five years.